You would be hard pushed to find post-rock/ambient music as emotionally ravaged and sprawling as Giancarlo Erra’s Nosound project. They reliably sum up the ennui of everyday existence but present it in such an elegant way, their records are delivered as multi-layered works of art in both the packaging and musical sense. True to form, their latest album, ‘Afterthoughts’, proves that they are still strangers to happiness. A title like ‘In My Fears’ sets expectations for self-doubt and paranoia and the music doesn’t disappoint with its piano keys cascading like raindrops, guitars are bruised and percussion is fleshed out to the point of exhaustion and that’s not even covering Erra’s own hand-wringing performance behind the mic. It’s a typically committed and lengthy track and there are still forty plus minutes to get through. Perhaps not surprisingly, there are signs that the formula is becoming a little jaded with both ‘She’ and ‘Paralysed’ hammering home the despair too hard. After all, how much despair does one need to hear on one record? As it happens, quite a lot based on the rest of the album. ‘I Miss The Ground’ is held aloft by a glistening, almost bluesy guitar melody. Released earlier this year on a preview EP, ‘Two Monkeys’ still shines for its shimmering beauty whilst ‘Wherever’ picks up the pace with an intense injection of drums and keyboards. ‘Encounter’ brings back the piano raindrops again and could be the album standout. It’s the most morose song of all but its arrangement is so exquisite (think latter-period Talk Talk on a widescreen scale), that it sounds so right. If Nosound is classed as prog rock then it certainly gives the genre a shot in the arm since this is another record which may wear its misery on its sleeve but is so expertly performed, it’s hard not to immerse yourself into it. 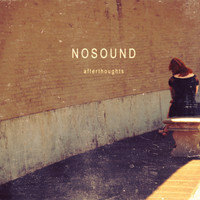 So Nosound are still hanging on in quiet desperation then, which is good news for all concerned.